Tired of being freaked out by New York’s recent spate of slashings and stabbings but still feel the need to worry about frightening random crime? 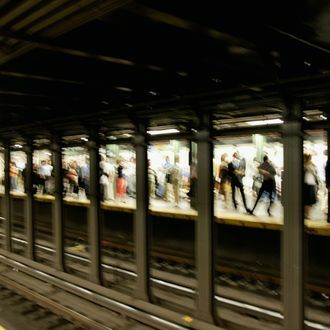 Go ahead and direct your attention to today’s report of a woman who narrowly avoided being pushed in front of a subway car by a stranger on Thursday evening. Cops near Borough Hall quickly located the assailant, identified as 46-year-old Robert French. French, described as mentally ill and homeless, has reportedly been charged with reckless endangerment.